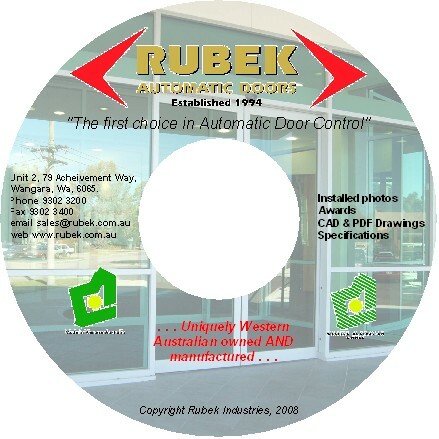 The Rubek range of Automatic Door Operators don’t just comply with, but exceed in certain areas, the new Australian Standard AS5007-- 2007. All operators are fully tested upon final inspection so you have the confidence that every installation will be a smooth success. We cater for emergencies as well as standard production runs. If you need an Auto Door Operator straight away we can usually manufacture and ship the same day for you. Rubek Industries offers a comprehensive range of accessories allowing us to cater for all configurations of automatic doors to suit each client’s individual needs and circumstances. 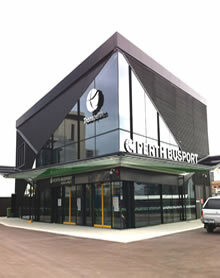 We recognize that not all entrances are the same and that your needs are individual. That’s why all Rubek Automatic Door systems are manufactured specifically for your requirements. Please click on the groups below for a sample of the options available to you.